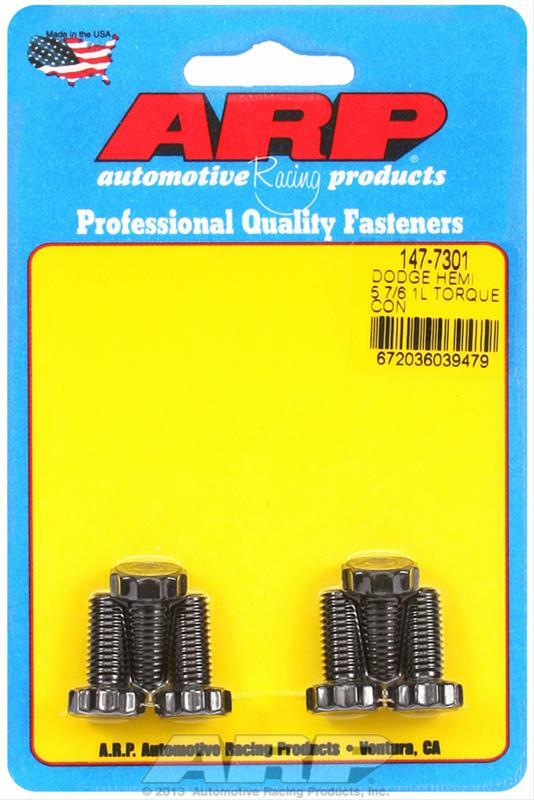 ARP torque converter bolts are manufactured from 8740 chromoly steel and feature 200,000 psi tensile strength. Add a set to your drivetrain, and shearing torque converter bolts are a thing of the past. Underhead Length (in): 0.700 in. Notes: Designed to fit production converters.